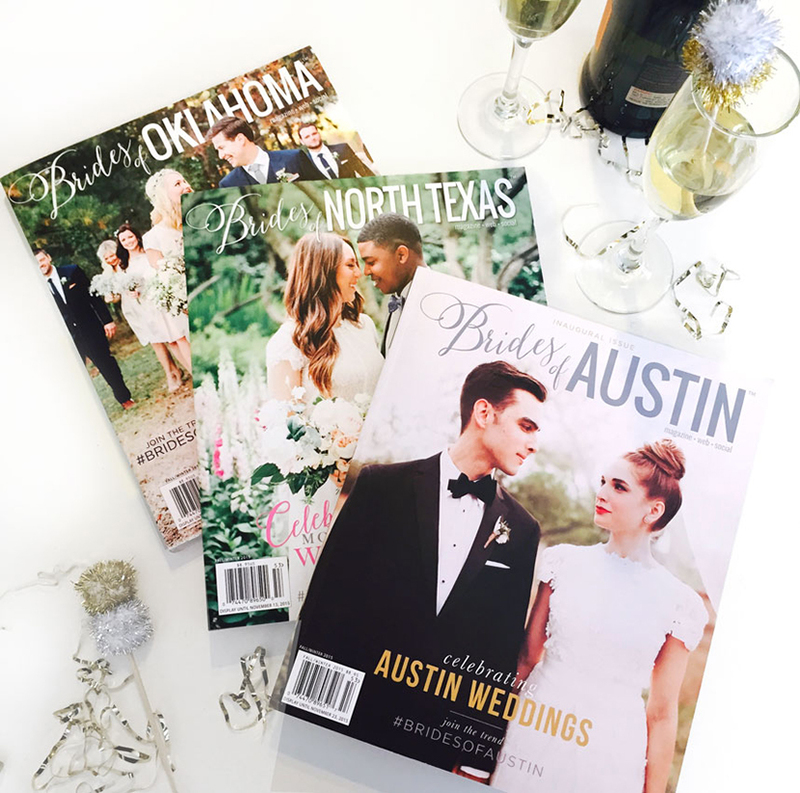 The anticipation has been killing us…the excitement is overwhelming… and so, without further ado, we’re so excited to finally introduce our brand new sister publication — Brides of Austin Magazine! We’ve spent over a year pouring our hearts and souls into making this gorgeous new publication a reality. 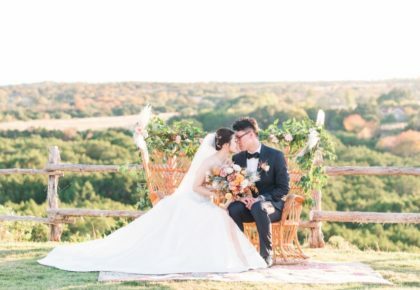 Just like Brides of North Texas and Brides of Oklahoma, Brides of Austin is all-local, featuring the best Austin wedding vendors, real Austin weddings and editorials to inspire and help brides as they plan their big day! Gracing the cover of our very first Brides of Austin issue is Lauren and Jeffrey Bergeron, captured by Austin wedding photographer Lauren Apel Photo! 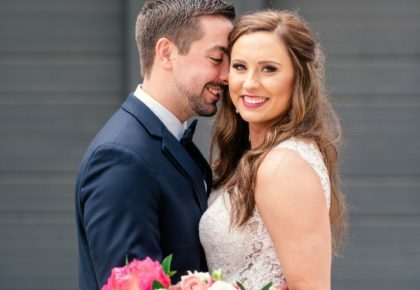 Lauren and Jeffrey tied the knot this spring with a gorgeous wedding that you can see today on the Brides of Austin blog — just click here! 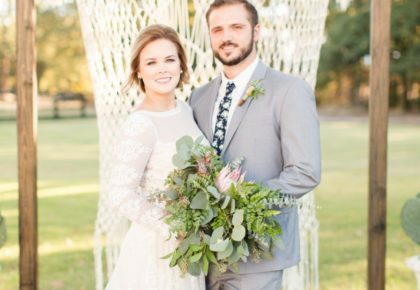 Be sure to tell all of your Texas friends about this amazing new wedding resource (shout it from the rooftops like we are) and follow Brides of Austin on Instagram, Facebook and Twitter! If you want to see what all the fuss is about, you can get your hands on your very own copy by ordering here! For a limited time we’re offering free shipping with the code KEEPAUSTINWED. 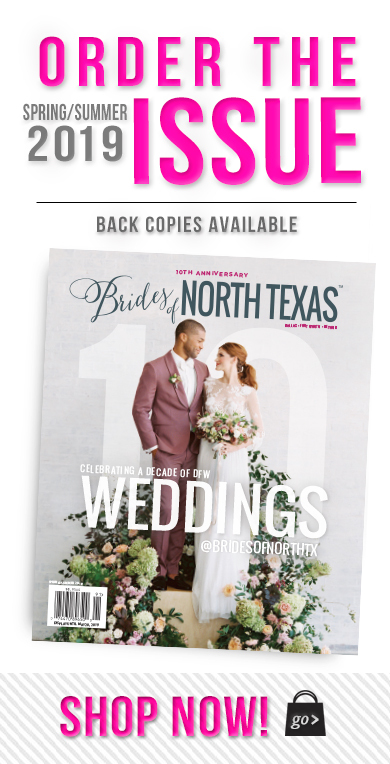 And if you want the latest issues of all three publications — Brides of North Texas, Brides of Oklahoma and Brides of Austin — just click here to order the trio collection for only $20 + free shipping!! Cheers! !